Three Spider-Man: Far from Home LEGO sets have leaked online and they seemingly confirm the arrival of the Elementals. The trailers for the upcoming sequel haven't been very shy about showing off some of the action and two of these villains have been briefly shown in the promotional material, though their names were never revealed. However, thanks to these LEGO sets, we might have the official names. Additionally, another one of the sets teases a pretty epic looking battle on a Stark jet with drones attempting to shoot it down, which may or may not be under the control of Mysterio. The first two LEGO sets are named Molten Man Battle and Hydro-Man Attack, respectively. These two villains are Elementals from the comics and both of them have been teased in the trailers, though it has never been confirmed who they are. The way everything is set up, Jake Gyllenhaal's Mysterio is joining forces with Peter Parker to take down the Elementals. This is the first time that we have seen presumable official marketing that has these names on them. The Hydro-Man set features an MJ mini figure, along with Mysterio, and Peter Parker. Mysterio is a villain himself and his true colors will more than likely be revealed by the end of Spider-Man: Far From Home. It is entirely possible that Mysterio used his powers to create illusions of Hydro-Man and Molten Man in an effort to trick Peter Parker. As is the case with everything else Marvel Studios has their hands in, we won't know until the movie hits theaters this summer. We still don't even know how Peter Parker comes back from Infinity War's Decimation, which will be explained when Avengers: Endgame hits theaters in April. Related: Endgame & Spider-Man: Far from Home to Feature Stan Lee's Final Cameos? The third of the Spider-Man: Far From Home LEGO sets features a Stark jet with a pretty crazy battle going on. This set includes mini figures of Mysterio, Nick Fury, Happy Hogan, and Spider-Man. The Mysterio figure is spotted on the same side as our heroes, but Fury could be aiming his blaster at him. Again, we don't know how Mysterio will end up being portrayed on the big screen, but there's no way the long-time Spider-Man villain is going to be on the good side of things when it comes down to it. Like all of the LEGO sets that are released for the Marvel Cinematic Universe movies, these things might not being completely 100% accurate. 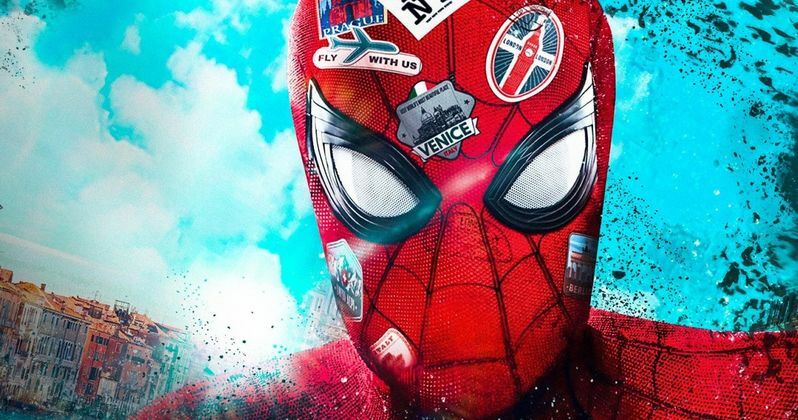 Spider-Man: Far From Home is still months away from hitting theaters, so hopefully we'll get a better understanding of what's going on in the next trailer reveal. You can check out the three new toy sets below and judge for yourself if the Elementals are going to be the main antagonists in Spider-Man: Far From Home. The images come to us from the Brickset Twitter account.